The research was conducted by a team from King’s College London. They recruited 40 subjects. At random, they gave some of the volunteers a daily drink that contained seven ounces (200 grams) of blueberries. They gave the remaining subjects a control drink with no blueberries. The chemical content of their blood and urine. The flow-mediated dilation (FMD) of their brachial arteries. This gauges how wide the artery expands when blood flow increases. It’s an important heart disease marker. The blueberry group had improved blood vessel function just two hours after consuming the drink. 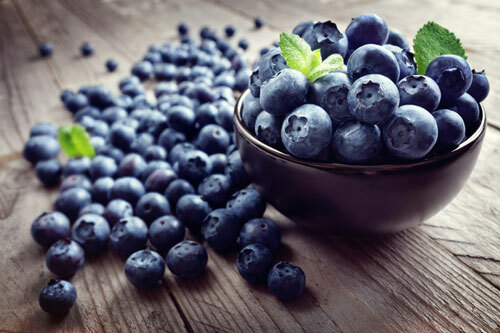 The blueberry group’s systolic (upper number) blood pressure dropped by average of 5 points. That’s comparable to the effect of some blood pressure medications. Add blueberries to your daily diet. It can be difficult and expensive to find them year round. But frozen blueberries actually have more antioxidants than fresh, according to a 2015 study published in the International Journal of Molecular Sciences. Blueberry supplements are another option. Just a couple capsules are the equivalent of a large quantity of blueberries. Editor’s Note: When it comes to blood pressure and just about anything else you can think of, Big Pharma wants you to believe that drugs are the answer. Discover the truth in our special report, The Top 10 Dangerous Pharmaceutical Drugs—And Their Natural Alternatives. It’s an important read for you and your family.